MAS becomes first airline in the world to digitalise student travel programme comprising cool benefits. Are you a student? Does your life revolve around quite a bit of hopping on and off planes? Ever felt the frustration of needing to change your flight date, but couldn’t without having to pay a surcharge? Here’s some fantastic news for you! 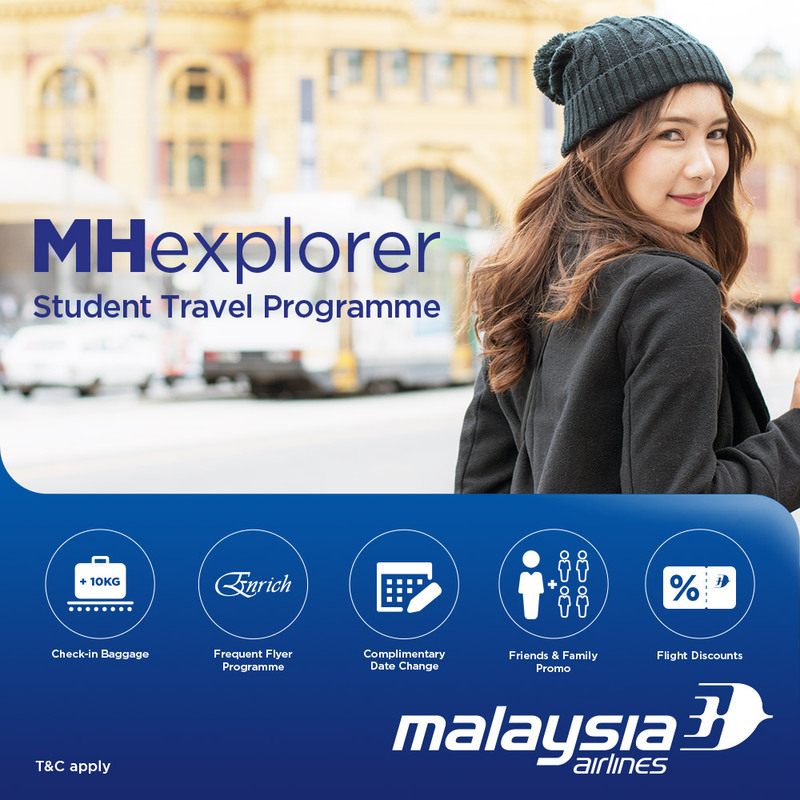 In October 2018, Malaysia Airlines (MAS) became the first airline in the world to offer a fully digitalise student travel programme called MHexplorer, making it convenient for students to manage and plan their own trips. What’s so great about this programme is that it enables students to enjoy up to 20% fare discount all year round, with additional 10kg baggage allowance thrown in for all classes. Another notable point is that it allows you one complimentary travel date change! Through MHexplorer, students could also benefit from special friends and family promotion and Enrich miles. “To date, we have 1.2 million youths and students travelling on Malaysia Airlines. These numbers are growing, and therefore it is only apt that we bring in a special student programme to cater to their travel needs. Whether for leisure or for school, students can enjoy some of the perks we will be offering them via MHexplorer,” said Malaysia Airlines’ Group Chief Revenue Officer Ignatius Ong. “We understand that travelling can be expensive as students – and as parents, you want an airline that has reliable scheduled services and at the same time, affordable. Malaysia Airlines offers that peace-of-mind plus the privileges of our student travel programme. MHexplorer is perfect for students who are also looking for that premium way to travel,” he added. The thoughtfully-designed MHexplorer programme is currently available for travel from Malaysia, Australia and United Kingdom and is open for students between the ages of 18 and 26. So if you fit the bill, go ahead and sign up for MHexplorer!